Airline collusion: Justice Department investigates. A Delta airplane, which—if you’re anything like me—brings back all kinds of terrible memories. It is an indisputable truth that air travel in the United States is awful. Part of its atrociousness lies in the fact that airlines charge customers an increasingly obscene amount for decreasingly good service. Why? The Justice Department has a hypothesis: Airlines are colluding to keep prices high. On Wednesday, the DOJ confirmed that it is investigating “possible unlawful coordination by some airlines”—that is, collusion. The DOJ wouldn’t identify which airlines it is looking into, but the United States has only four major airlines: American, Delta, Southwest, and United. Together, they serve roughly 80 percent of all domestic passengers. United and Delta have already admitted that they are under investigation and profess to be complying with the probe. These airlines have long been suspected of colluding in order to keep fares (and profits) high. 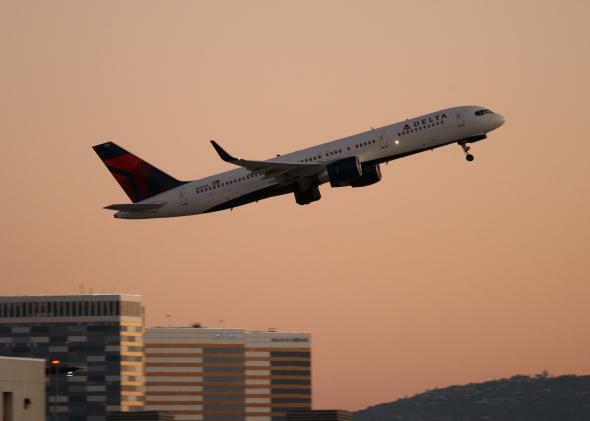 Between 2009 and 2014, the average domestic airfare rose 13 percent. Industry watchdogs believe the four major airlines coordinate to intentionally limit growth and seat capacity while flying only consistently popular routes. Meanwhile, budget competitors like Spirit have grown at a much faster rate and kept fares relatively stable.